We are giving you something to look forward to in anticipation of spring and warmer days. Meet the chic, enchanting, and amazingly modern new bag trends for spring/summer 2016. As soon as you finish reading this post, we bet you will be dying to rock one of these bags with your everyday outfit. 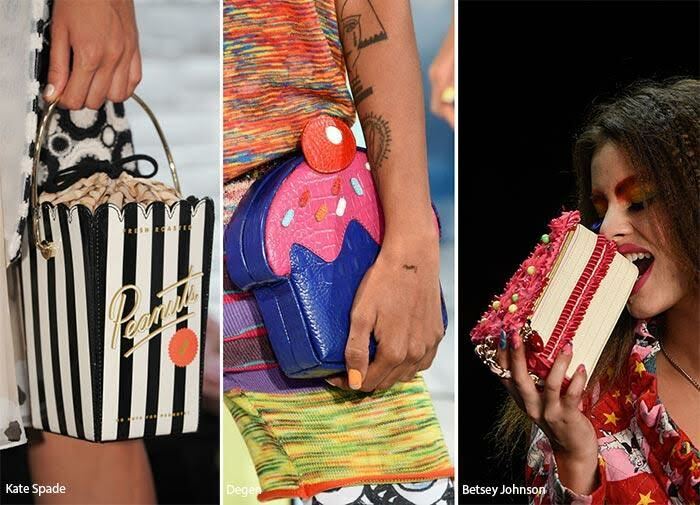 It all started with dogs and bumblebees, then came pizzas and cupcakes, and finally inanimate objects stole the scene on spring/summer Fashion Week shows from Jeremy Scott, to Betsey Johnson, and Kate Spade. Item shaped purses do not stop to surprise us. Sometimes they are completely wacky, like Jeremy Scott old fashioned television set, Betsey Johnson oven-shaped piece, with a cherry pie still baking inside, Moschino metallic-striped traffic cone, or Au Jour le Jour Dash bag; and sometimes they are super lovely, such as Dolce & Gabbana camera-shaped shoulder bag, mermaid shell cross-body bag in gold, or Moschino pump shoe bag. Throughout 2015, we have been seeing fringes on pants, shirts, jackets, vests, skirt, well, everywhere. It was only a matter of time before they appeared on bags. Although they are a rather retro detail, bright rainbow colors, metallic shades, and unexpected incorporation bring a whimsical and modern twist. When we saw the scattered fringe on suede bags at Christian Siriano, we knew straight away it was the statement piece of the next season. Badgley Mischka’s clutches with metallic tassels looked very futuristic, while woven fringe at Altuzarra was a timeless classic. Weekend strolls in denim with a fringe bag – a perfect combo! 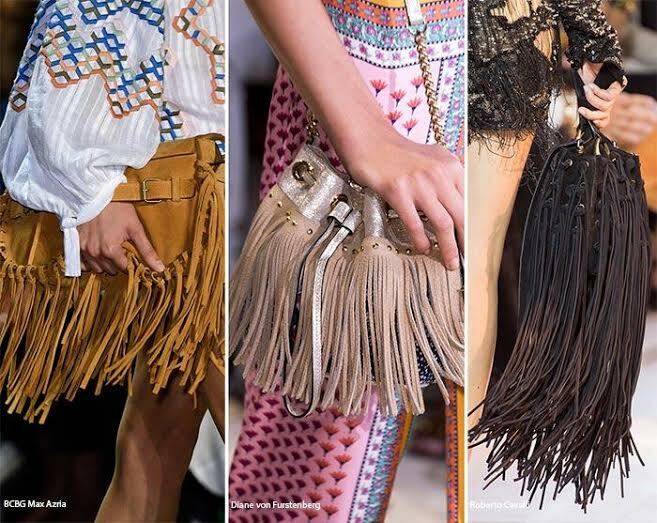 Since the ‘70s Bohemian style resurged in all its glory, after fringes and tassels, the comeback of saddle bags makes perfect sense. Rachel Mansur and Floriana Gavriel, the designers behind It Girl bags, introduced a new style in 2015 – the minimalist tanned-leather Crossbody bag. 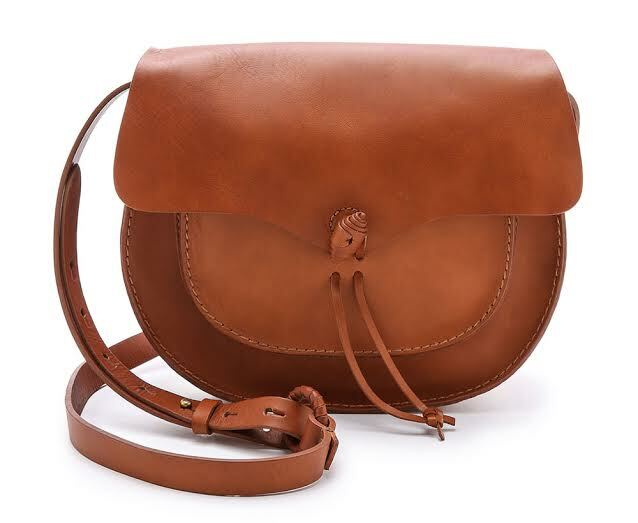 It was a clean-lined take on the saddle bag, which soon started selling out like crazy. It was obvious then that this and similar structured, round-bottomed styles will be every girl’s choice for the next season. After that, we saw them at Altuzarra, Jason Wu, Philosophy, Kate Spade, Tory Burch, and Chloé to name but a few. Make sure you include the equestrian-style satchel on your spring shopping list. 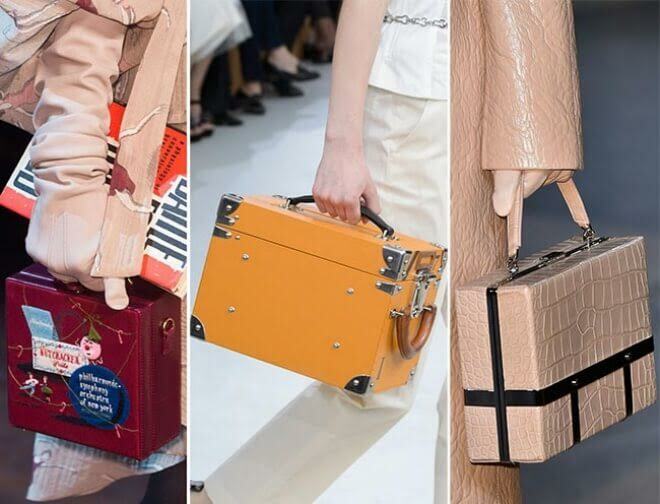 Not sure how to pick the best structured bag for spring/summer 2016? It is simple – the boxier it looks, the more hip it is. Whether you prefer harder or softer cases, look for rectangular pieces that are clearly defined on all sides. As long as they are smaller and clutchy. Add some alligator skin to the equation, like we saw at Zimmermann or Alexander McQueen, or wood and mirror mosaic, like Lela Rose did, and the bag becomes so astonishingly appealing. Dolce & Gabbana’s memory box turned handbag is our favorite. Victoria Beckham’s oversized half-moon bag hinted that this might be the IT bag of the 2016 spring/summer season. Although the shape itself is not something we have not seen before, the oddly large size and long shoulder strap are quite refreshing. 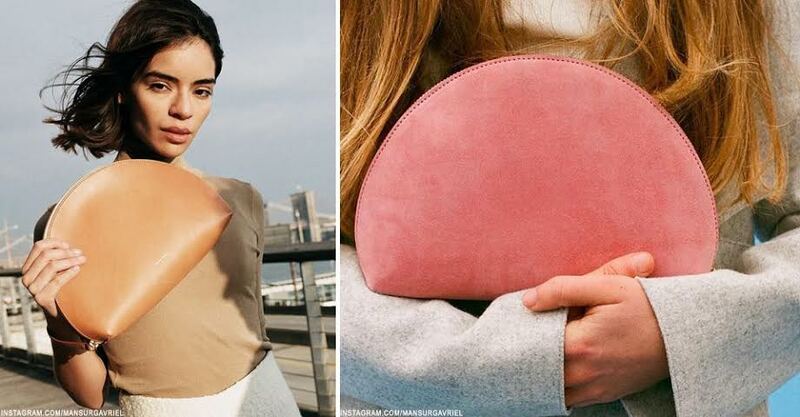 You can rest assured that this trend will stick around for some time, so if you are looking to invest in one piece this spring, unique handmade leather goods in neutral shades are always the best choice. Have you already picked your favorite bag trend of the season? Is it on our list? I would love to have box and item shaped bags.. Item bags are my fav too!